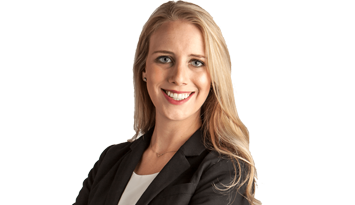 Danielle Jenkins comes to Shankman Leone to practice Franchise Law and Business Litigation alongside our seasoned team of attorneys. Ms. Jenkins graduated with her J.D. from Stetson University College of Law with a Leadership Distinction for her leadership roles in various organizations. While in law school, she completed several internships and participated in a multitude of competitions and activities that aptly prepared her for her role. Her legal experience includes the role of a Certified Legal Intern for the City Attorney’s Office of St. Petersburg where she represented the City in a handful of Municipal Ordinance Violations, all of which were successfully resolved. Additionally, she was a Certified Legal Intern for the State Attorney’s office of the Thirteenth Judicial Circuit where she sat on two successful trials, successfully represented the State on a motion hearing, and conducted and assisted with arraignments. She is an active member of the community, volunteering as a Guardian ad Litem and with the N.O.W. Matters More Foundation—an organization that champions creative efforts and solutions for prevention, education, and treatment of substance abuse and the disease of addiction. Ms. Jenkins is a member of the Florida Bar and Young Lawyers Division, and will soon be a part of the Pinellas and Hillsborough Bar Associations. She enjoys being active outdoors, attending sporting events, traveling, meeting new people, and volunteering at various organizations.